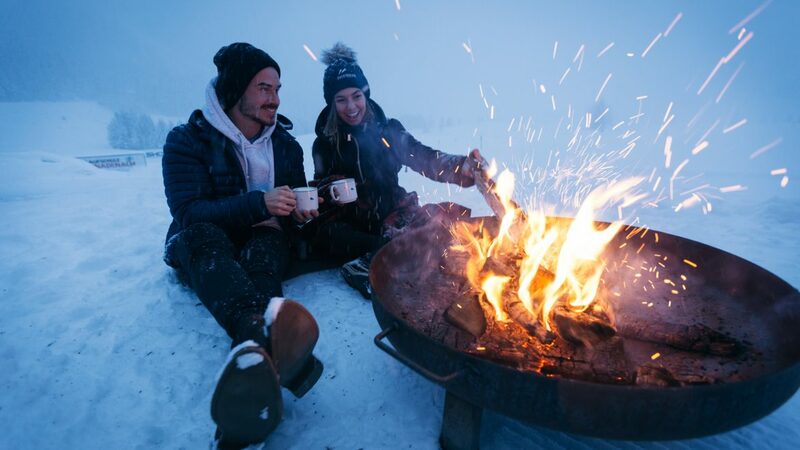 Who's ready for a winter adventure in SalzburgerLand? Four Instagrammers from London could not wait for a few days discovering the county and meeting the people, and then sharing their impressions on Instagram. 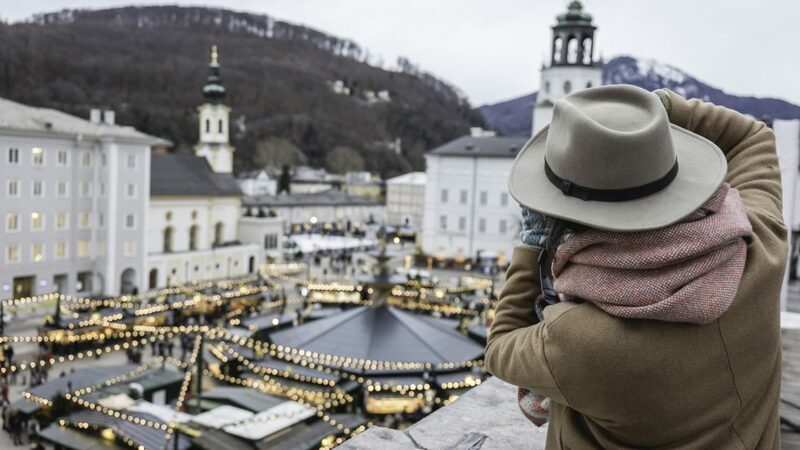 The romantic old town of Salzburg and the snowy Obertauern are after all just a stone's throw away and provide the perfect backdrop for the next Instagram post. It’s Wednesday morning, 06:30 a.m. and London slowly comes to life. Time for the finishing touches before we go to Salzburg. The suitcase is packed and Mike (@mikecleggphoto) starts his trip which will take him together with Zoe (@zobolondon), Elena (@elensham) and Conor (@thefella) to Salzburg. Full of anticipation, the four meet at London Heathrow, where they will fly directly to Salzburg with Eurowings. “You can now board your plane to Salzburg” sounds out of the speakers – time to say goodbye from rainy London. The first Instagram stories are posted and the plane is ready to take off. Hardly is the cruising altitude reached, when the descent starts again because the trip from London to Salzburg takes just under two hours. A stone’s throw away! At Salzburg Airport the Instagrammers are greeted with a surprise. They are greeted by Denis (@deniscebulec), Michael (@bluemoonthecrew) and Sebastian (@zeppaio), and together they go in the direction of Salzburg’s old town. Now it’s 48 hours to hit the best photo spots. The highlights here are the Hohensalzburg Fortress, the narrow alleys of the old town, the view from the Mönchsberg Mountain and of course the many culinary delights – from Kaiserschmarrn and Schnitzel to Mozart Balls. The mood is relaxed and everyone enjoys the joint tour. There is laughter, photographs and postings – just what’s needed. The images and impressions can be found on Instagram under the hashtag #nextstopsalzburg. This wintry tour continues on through SalzburgerLand and into the deep snow of Obertauern, where the Instagrammers roam the slopes together, and ride through the beautiful winter scenery on horse-drawn carriages. “These snow-covered landscapes are just amazing! I just can’t stop taking photos” says Conor with a smile on his face. There is enough powder, ideal for Michi and Denis who prefer to draw their turns off the slopes. Mike too, the only snowboarder in the group, obviously has fun – “It is just fantastic and is great fun snowboarding here in Obertauern together with the others.” While the one Boarder and the other Skiers spend the day on the slopes, Conor and Elena try something more comfortable and discover the Gnadenalm on a horse-drawn sleigh. The frozen streams, the snow-covered trees and sugar-coated cottage roofs offer the perfect photo scenery for both. “This is simply unforgettable.” Conor says while he plods through the deep snow and searches for the next photo spot. So don’t hesitate! Wintry SalzburgerLand is waiting for you! 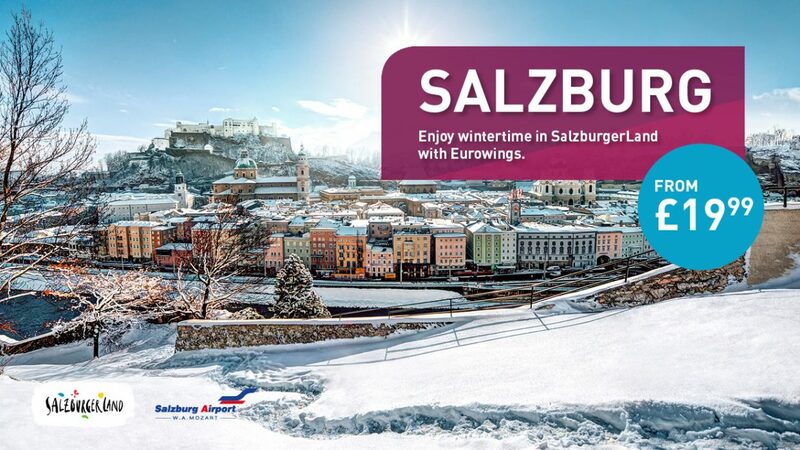 You can find more impressions from the trip on the Instagram channels of Eurowings, SalzburgerLand and Salzburg Airport.